Chock full of whale drawings and facts about whales being at risk due to the actions of humans, I’d hang the posters at my local park with the hope that the community would, somehow, heed my Crayola-infused call to action. But my message was usually short-lived as, inevitably, after each session of postering every hydro pole in sight, rain would follow and wash away my whale-saving pleas. But the rain never dampened my enthusiasm for environmental activism. 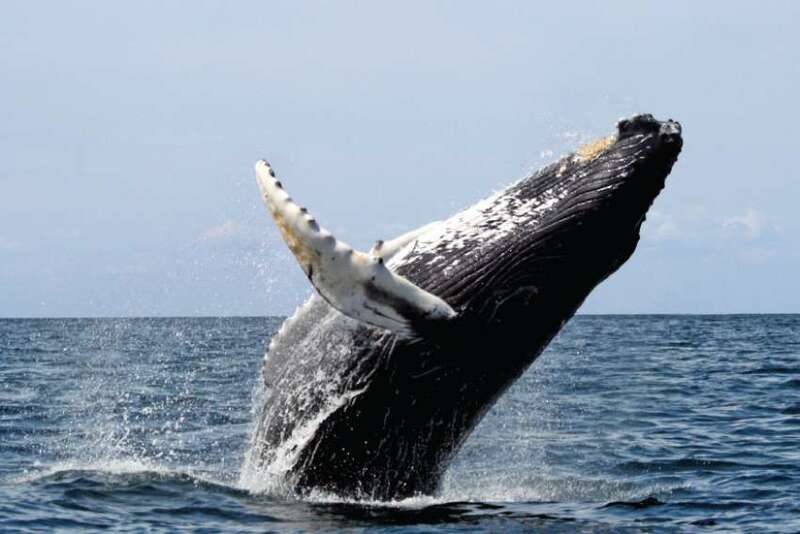 Saving the whales was a hot topic during the 1990s, after the International Whaling Commission imposed a commercial whaling moratorium in the mid-’80s. But although whales were big news for a while, the concern was eventually overtaken by other issues. Fast-forward to 2018 when the devastating effects of plastic pollution on the health of the oceans and marine creatures has become one of the most pressing environmental issues of our time. Whales are back in the news. We live in a throwaway culture of convenience, where using plastic is embedded in our everyday life — from plastic bags and takeout containers to water and pop bottles. But this convenience has come with a cost. National Geographic reported that eight million tons of plastic is dumped in the ocean annually, with 5.2 trillion pieces of plastic currently polluting the seas. This entirely man-made issue has underlined how humanity has failed in its responsibility to be a good steward of the Earth. I recently watched the popular BBC documentary series Blue Planet II, which chronicles the state of the oceans. It was devastating to see a baby albatross that had choked to death by ingesting a plastic toothpick and a pilot whale carrying around her dead newborn, who may have died from drinking the mother whale’s contaminated milk. Without drastic change, reports indicate there will be more plastic than fish in the sea by 2050. It’s not just the oceans and the creatures within them that we’re harming. Plastic pollution is bad for human health. When fish eat plastic, the contaminants move through the food chain — and into our bodies. Aside from food, the oceans also provide a wide variety of other benefits: they produce more than half of the world’s oxygen, they regulate our climate through the transport of heat from the equator to the poles and they provide us with ingredients used in some medicines. At the consumer level, we have a moral responsibility as people of faith to change our habits in order to minimize plastic use. Personally, I’m making an effort to be aware of my use of single-use plastics by carrying a re-useable water bottle — working to eliminate the need for plastic water bottles completely. That’s just a start. As a society we need to rethink our use of convenience items like plastic straws and takeout containers. At the government level, there’s even more that needs to be done. In Canada, it’s disturbing that less than 11 per cent of plastics are recycled. The system needs a major overhaul. It’s been reported that the federal government plans to use its G7 presidency to further the fight against plastic pollution at the upcoming June meeting in Quebec by putting forward proposals for a “zero-plastics-waste charter.” This is a step in the right direction. But I’m a bit of a skeptic, given that the Liberal government gave a $35-million grant to a chemical company that makes plastic resins the day before the G7 announcement. I no longer use pencil crayons to draw save-the-whale posters, but environmental stewardship remains dear to my heart. I haven’t lost my school-girl certainty that people need to be made aware of the damage we’ve inflicted on the natural world. And I believe more strongly than ever that together we have to do something about it — before it’s too late. 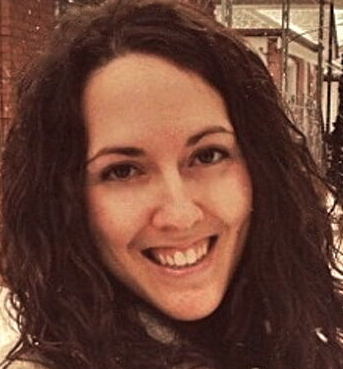 Vanessa is a Toronto-based writer and communications professional. "Happy Easter! Making #fiadoni — also known as “Easter ravioli” — with these two masters. You can never go wrong whe… https://t.co/RMv9t8RJoH"
"RT @ladurantaye: Notre Dame, like Easter, tells us death can’t have the last word https://t.co/q7SODW7w6G"
"RT @neilmaccarthy: @archtoronto Cardinal Collins speaks to the media re violence in #SriLanka "How do we counter violence? With love, just…"
"RT @neilmaccarthy: Please join in praying for Jean Vanier, an incredible Canadian and friend to the world, especially those who teach us ab…"